I did this for St. Patrick’s Day, but you can do it for any old occasion. 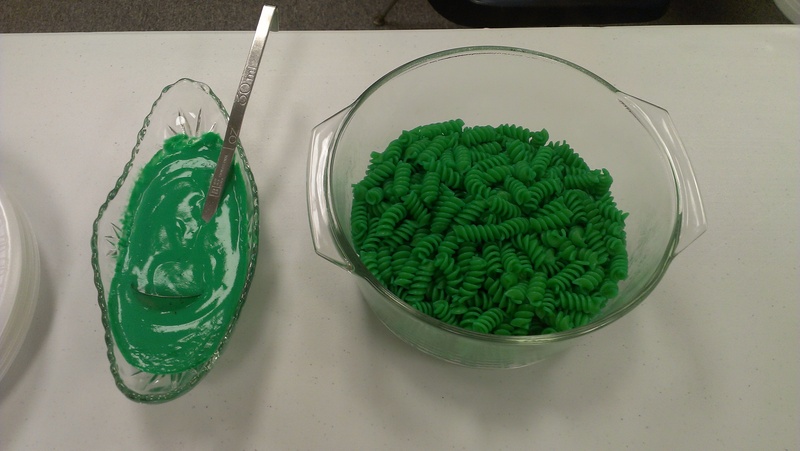 A few drops of food coloring in the water when you make pasta will change the noodles in a very dramatic way! I used an Alfredo sauce with a few more drops, which really made the whole dish come together. Try this: For your next Spaghetti Dinner night, which is a great fundraiser, make a few pots of spaghetti noodles, each with a different color. You get a rainbow themed dinner and kick it up a level. It’s fun, easy and cheap!